Hong Kong’s new stamp duty only offers a breather for the city’s property bubble. The special administrative region has nearly doubled its tax on real-estate sales to 15 percent across the board in the hope of cooling surging prices. It’s the toughest measure yet, but continued capital inflows from China will blunt the impact. Home prices in the former British colony have been rallying in recent months. Government data show prices in September jumped to an 11-month high, only 3.5 percent shy of last year’s all-time peak. Capital inflows from China are probably driving this surge: in the same month, transactions topped 7,800, representing an increase of over 80 percent year-on-year. Hong Kong’s median home price is now 19 times the territory’s median income – a record, according to Demographia’s International Housing Affordability Survey. The new measures, announced on Friday, are drastic. The 15 percent standard rate of stamp duty, applying to everyone except local first-time buyers, replaces a range of 1.5 percent to 8.5 percent pegged to the property value. Whereas the previous measure did little to rein in prices at the lower end of the property market, this latest tax hike could have the deepest impact on the city’s smaller units. Coupled with an additional levy, foreign buyers now face a 30 percent total tax bill. Yet there’s little reason to believe that the new tax will have a lasting effect on prices. Property developers may offer discounts on new flats, but existing home owners could just hold off from upgrading. Analysts at Mizuho reckon transaction volume will fall by up to 40 percent in the coming quarters, but argue prices may not decline significantly. That’s essentially what happened last time Hong Kong hiked stamp duty in 2013. The government’s problem is twofold. 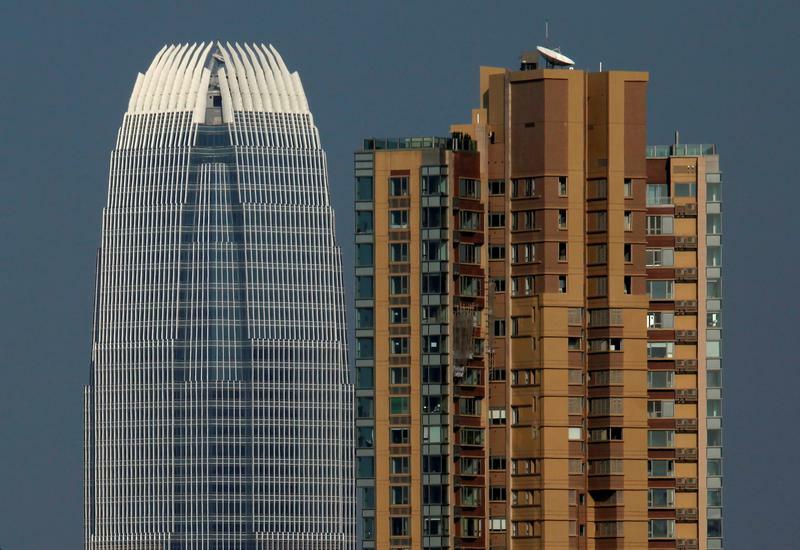 First, Chinese investors still find the territory attractive. Beijing is clamping down on mortgage lending in major mainland cities and the yuan is steadily depreciating. Demand may actually increase, according to analysts at Natixis. And while Hong Kong can tighten mortgage terms, it has no way to meaningfully increase borrowing costs, which are linked to U.S. rates. Second, despite somewhat more housing coming onto the market in the next few years, Hong Kong still faces a supply shortage. There’s space, but the government has long released land only cautiously. Barring a big change in that policy, the world’s least affordable housing market is likely to remain that way. The Hong Kong government on Nov. 4 said it would raise stamp duty on home purchases to a flat rate of 15 percent from a progressive rate of 1.5 percent to 8.5 percent, effective on Nov. 5. First time local home buyers are exempt from the change and will continue to pay stamp duty at significantly lower rates. This is the first time in three years that Hong Kong has raised stamp duties. Hong Kong home prices surged in September for the sixth consecutive month to hit the highest level in nearly a year, government data showed. Hong Kong property stocks fell on Nov. 7. The Hang Seng Property Index was down 4.4 percent by late morning Hong Kong time, while shares of Sun Hung Kai Properties, Henderson Land, New World Development, Cheung Kong Property and Midland were all down by over 6 percent.